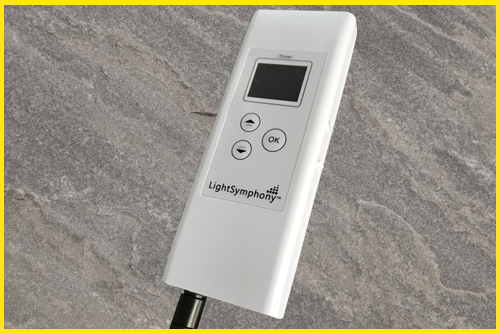 The Timer unit is an optional addition, which expands the features of a Light Symphony system. It's a clock and nine intelligent timers adjusting for dusk and dawn time throughout the year, providing perfect automated control. The built-in light show provides wireless synchronisation of colour LED lights to create a stunning performance of moving light and shadow. Includes a signal booster which echoes wireless commands received from any handset, to increase the operating range and guarantee reliability.